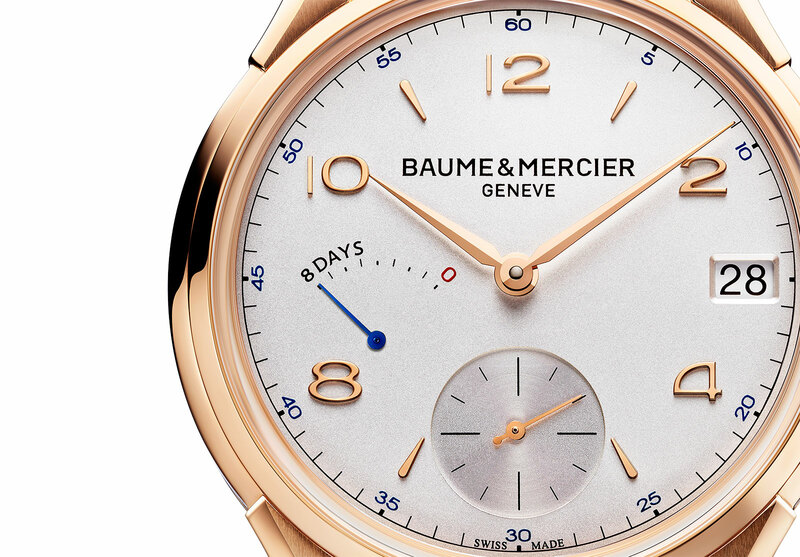 To mark the 185 years since the founding of Baume & Mercier, the Clifton 8-Day Power Reserve joins the Clifton Flying Tourbillon in the brand’s line-up of more complicated timepieces. 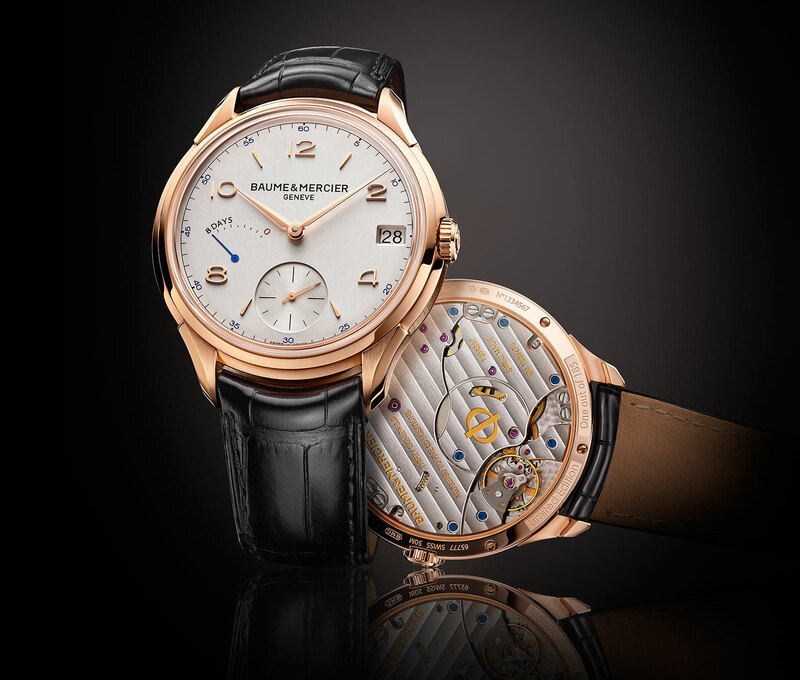 The aesthetic is typical of the Clifton line, a look inspired by mid-twentieth century wristwatches, classical and clean. 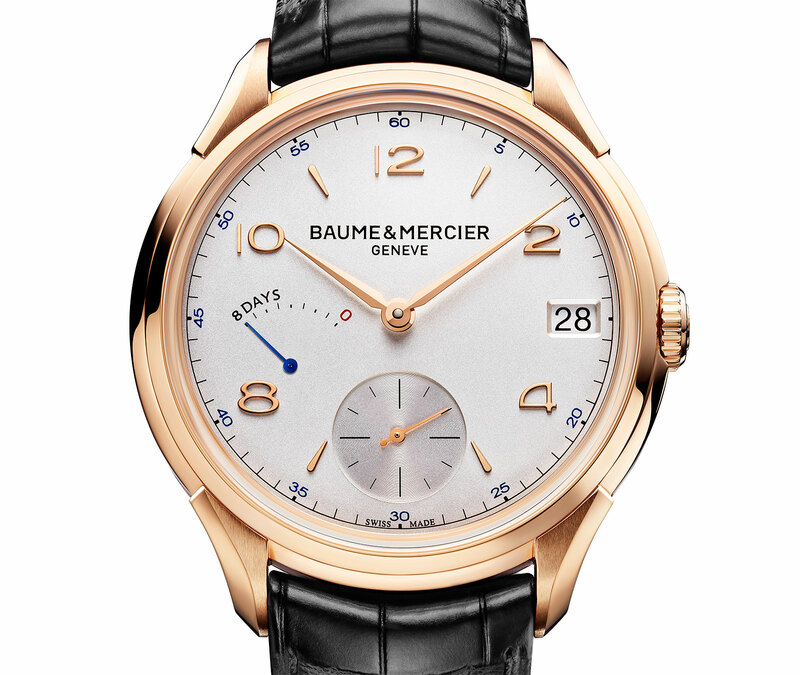 Limited to 185 pieces, the Clifton 8-Day has a 45 mm red gold case. The dial is silvered and slightly domed for that retro look. A power reserve indicator sits at nine o’clock and the date opposite. 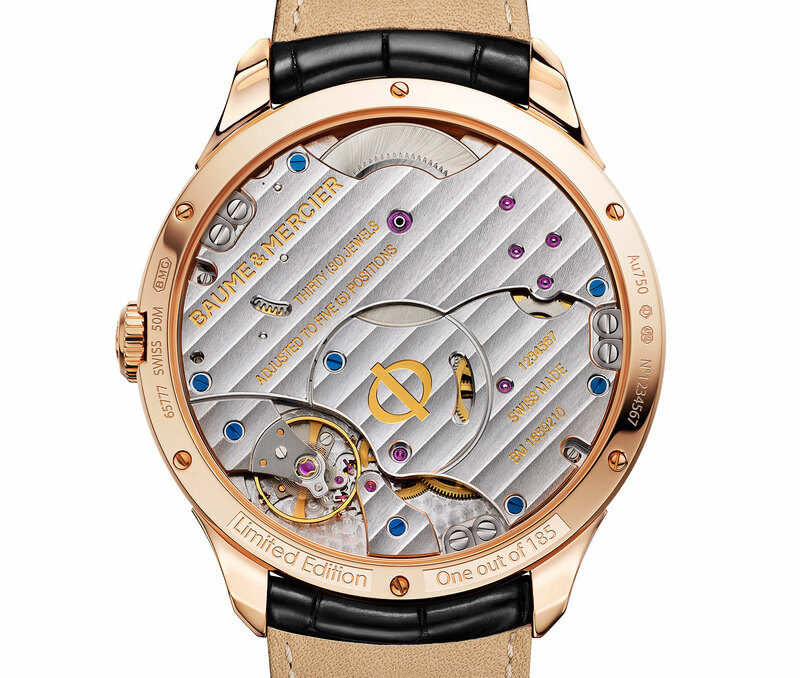 As with the Clifton tourbillon, the movement is made by IWC, Baume & Mercier’s sister company in Richemont, and is identical to the calibre 59210 in the IWC Portofino 8-Day. Dressed up with Geneva stripes and blued screws, it has a very large single barrel with one long mainspring, as well as a free-sprung balance wheel, a feature thought to achieve stable timekeeping. With a price of 24,200 Singapore dollars (~US$19,400), the Clifton 8-Day Power Reserve costs about a quarter less than the equivalent model from IWC with the same movement.